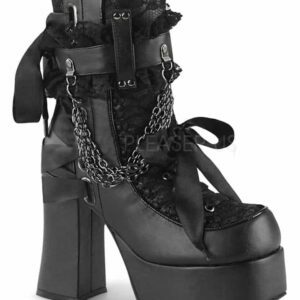 Channel the deep abyss with these dreamy platform boots; the ‘Buried At Sea’ come in a full lush velvet and faux leather body [all black of course], decadent cut-out front with wide ribbon laces and elevated with a 6″ platform. 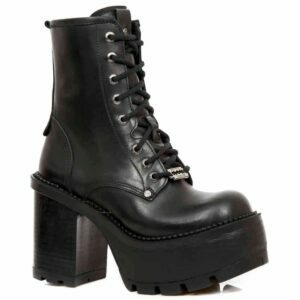 A black-on-black beautiful mermaid scale pattern decorates the boot – and even the hardware is black; just like your soul! Match with anything – you make the rules in these; plus they’re super comfortable.